Priscilla Dass-Brailsford, a graduate of Harvard University is currently Chair of the Department of International Psychology at the Chicago School of Professional Psychology, Washington DC campus and Adjunct Professor at Georgetown University, Department of Psychiatry. She is a licensed psychologist who studies the effects of trauma, specifically interpersonal violence, disasters and other stressful events and focuses on whether individuals from historically oppressed or stigmatized groups experience unique stressors or exhibit culturally specific coping processes. Prior to moving to DC, Dr. Dass-Brailsford coordinated a Community Crisis Response team for the Victims of Violence program at Cambridge Health Alliance, in MA that responded to affected communities in the aftermath of violence and trauma. Besides numerous other publications, she is the published author of two books: A Practical Approach to Trauma: Empowering Interventions (2007) and Disaster and Crisis Response: Lessons Learned from Hurricane Katrina,(2009). 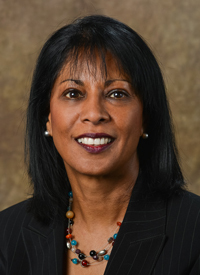 Dr. Dass-Brailsford has presented both nationally and internationally and she is an APA Fellow in Divisions 17, 35, 45 and 56. 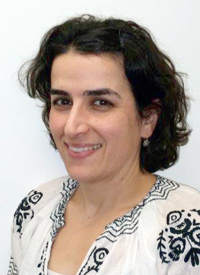 Dr. Adriana Feder’s research has focused on posttraumatic stress disorder (PTSD) and resilience in trauma-exposed populations, including the conduct of clinical, epidemiological and translational research studies in diverse samples of trauma survivors, including WTC rescue and recovery workers, Vietnam repatriates, trauma-exposed African American populations, primary care patients after the 9/11 terrorist attacks, and survivors of the 2005 earthquake in Pakistan, and more recently in high-risk adolescents. 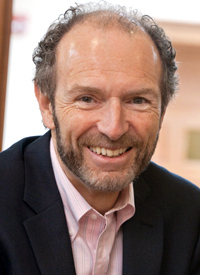 As Associate Director for Research at the WTC Mental Health Program at Mount Sinai and Director of the Trauma and Resilience Program at Mount Sinai, Dr. Feder has been Principal Investigator (PI) of five CDC/NIOSH-funded studies on the longitudinal course and biomarkers of PTSD and resilience in WTC rescue and recovery workers, including an ongoing randomized clinical trial of Internet-based psychotherapies with pre-/post-treatment saliva genomic biomarkers, and a recently funded neuroimaging study in WTC responders. Dr. Feder also has extensive experience in the conduct of clinical trials in patients with mood and anxiety disorders as Co-Investigator of NIH-, U.S. Department of Defense (DoD)-, and Industry-funded clinical trials at the Mood and Anxiety Disorders Program (MAP) at Mount Sinai, and was awarded a NARSAD Independent Investigator Award from the Brain and Behavior Research Foundation as PI, to conduct a trial of repeated ketamine administration in patients with chronic PTSD. Ms. Fetchet co-founded Voices of September 11th (VOICES) in 2001 following the death of her 24 year old son Brad in the terrorist attacks on September 11, 2001, to provide long-term mental health care and resources for all those impacted and to promote public policy to make the country safer. Her unique background as a mother of a victim, along with 23 years of expertise as a clinical social worker has influenced VOICES innovative approach to creating a new paradigm in providing long-term support services for victims’ families, survivors and responders. Using social work practices, she developed a wide array of programs that provide continuity of care and promote resiliency in the lives of those impacted. Today, Ms. Fetchet is equally dedicated to assisting communities impacted by other acts of terrorism and mass violence, both in the United States and abroad. Notably, Ms. Fetchet established VOICES Center of Excellence for Community Resilience to share best practices and lessons learned. 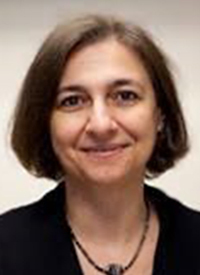 A 1994 graduate of Columbia University School of Social Work (CUSSW), and 2013 CUSSW Hall of Fame recipient, prior to 9/11 Ms. Fetchet worked as a clinical social worker at an outpatient mental health clinic as part of a multi-disciplinary team providing mental health treatment for adults. In addition to her caseload, she launched the clinic’s awareness campaign to promote the national days for depression and anxiety screenings, and also facilitated groups for individuals suffering from anxiety disorders. Several years prior to 9/11, she attended the presentation by a mother who lost her daughter in the Oklahoma City bombing, who talked about the far reaching impact on the victims and the community-at-large. The compelling presentation motivated her to examine the research findings related to the response to the Oklahoma bombing, and to become part of the clinics response team that provided individual and community support following traumatic events. Her unique background established a foundation for her life’s work today. In the days following the attack and the death of her son, Ms. Fetchet visited the Family Assistance Center that was temporarily set up in New York City for the 2,977 victims’ families to gather and obtain information. The visit to the Center reinforced the magnitude of the loss, the challenges families faced in receiving up-to-date information and the complicated processes they had to navigate during a time they were grieving. 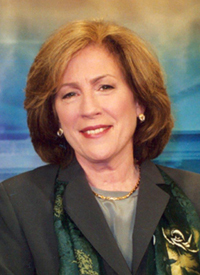 Drawing upon her professional background as a clinical social worker, her firsthand experience as a mother of a victim, and her understanding of the impact of the Oklahoma City bombing, she established Voices of September 11th (VOICES), along with Beverly Eckert who lost her husband in the attacks. VOICES began with weekly support groups for Connecticut families and has evolved into an internationally recognized non-profit organization with a committed staff of professionals providing a wide range of services for all those impacted by 9/11 – victims’ families, survivors and responders. More recently VOICES is assisting individuals and communities impacted by other tragedies. Under Ms. Fetchet’s leadership, VOICES has provided over 160,000 hours of social service support for 9/11 families, survivors and responders. Using social work practices, she developed and implemented a wide array of community-based programs that provide continuity of care and address the immediate and long-term emotional needs of those impacted. Programs are based on an ongoing assessment of the evolving needs with a focus on providing support services that promote healing and resilience. Recognizing the importance of peer-to-peer support, in 2002 she launched VOICES Always Remember conference that is held annually in New York City on September 10, the eve of the anniversary. VOICES has convened 24 conferences for victim’s families, survivors and responders, as well as academic symposiums for mental health and victims’ service providers. As a family member, Ms. Fetchet recognized the importance of commemorating the 2,977 lives lost and assisting families through the emotional, but therapeutic process of documenting their loved ones lives. Under her leadership, VOICES launched the 9/11 Living Memorial Project in 2005, and worked with 9/11 families for over a decade to create an extensive collection of over 84,000 photographs and personal keepsakes documenting the 2,977 lives lost on 9/11 and stories of survivors. The Living Memorial is hosted on the VOICES website. In addition, copies of the extensive collection of 84,000 photographs have been gifted to the 9/11 Memorial Museum where it is now a core component of the In Memoriam Exhibit. In 2011, VOICES began working with the Center for Disease Control (CDC) to promote the World Trade Center Health Program that is providing medical and mental health treatment for survivors and responders who are suffering from 9/11-related illnesses due to their exposure in Lower Manhattan following the attack. Ms. Fetchet led the planning and guided staff in the outreach effort. In September 2017 VOICES began its 6 year on the outreach project, where she is overseeing the efforts to promote awareness and assist the Survivor population. Ms. Fetchet is a strong advocate for the rights of victim's families, survivors and responders, as well as public policy reforms to make the country safer. As a 9/11 family member, she worked closely with the New York City Medical Examiner, Dr. Charles Hirsch, to develop standardized procedures for the notification of human remains. The procedures empowered families to determine when, if and how they want to be notified of their loved ones remains, a process that continues to this day. She recognized the challenges families faced in applying for the Victim's Compensation Fund at a time when they were grieving, and provided information and guidance. When the Lower Manhattan Development Corporation was established to plan the 9/11 Memorial at the World Trade Center site, she joined the Family Advisory Committee to advocate on behalf of the families for an appropriate Memorial. Recognizing the systemic government failures that led to the attacks on September 11, Ms. Fetchet was a founding member of the 9/11 Family Steering Committee, a dozen 9/11 families who worked tirelessly campaigning for the establishment of the 9/11 Commission. Once the Commission was established and their report was release, she continued for many years in advocating for the implementation of the recommendations. Working collaboratively with the 9/11 Commissioners and elected officials their efforts led to sweeping governmental intelligence reforms. Ms. Fetchet testified before the 9/11 Commission and the United States Congress on four separate occasions. Today, Ms. Fetchet is equally committed to assisting communities impacted by other acts of terrorism and mass violence, both in the United States and abroad. Through VOICES Center of Excellence for Community Resilience, she is establishing public/private partnerships, educational initiatives, community response training, and research projects to document best practices and help communities effectively plan for the long-term needs of victims’ families, survivors, responders and the affected community at large. She is part of three important international committees - Kenova Investigation, Victim Focus Group (UK) which is ensuring a victim-centered approach to supporting families during the investigation into the circumstances related to the murder and torture of their loved ones; International Framework for Dialogue and Information Sharing (EU), an ongoing international working group that is working collaboratively to share lessons learned to assist the international community in preparing for and responding to acts of mass violence; and an honorary member of the Leadership in CounterTerrorism Alumni Association (LinCT). Preparing For After: How to Help Victims of Mass Violence, a resource kit identifying best practices in preparing for and responding to traumatic events, based on extensive research conducted in communities impacted by acts of mass violence – the Oklahoma City bombing, the terrorist attacks on September 11, 2001, and the shootings at Virginia Tech, Northern Illinois University and Tucson, Arizona. “Investigating the Long-term Impact of Bereavement due to Terrorism: Factors that Contribute to Trauma, Grief, Growth and Resilience”, a research study examining the long-term needs of family members of those who died on 9/11/2001 and in the 1985 bombing of Air India Flight 182. VOICES of Experience: Helping Communities Heal After Traumatic Events, a two-day training based in part on VOICES Preparing for After and subsequent research findings related to recent acts of mass violence and natural disasters. The training assists community stakeholders in planning for, responding to and recovering from traumatic events, taking into consideration the immediate, short-term and long-term requirements for recovery. n expert on the long-term needs of victims’ families, survivors and responders, as well as trauma-informed mental health care, preparedness, and national security reforms, she has made hundreds of appearances on national television and at conferences in the U.S. and abroad, and contributes regularly to print and radio. Ms. Fetchet has received numerous awards for her work, most notably induction into the Hall of Fame at Columbia University School of Social Work in New York City, NBC Nightly News with Brian Williams Making a Difference feature (2006) and ABC News Person of the Year. Dr. J. Barry Mascari is Chair of the Counselor Education Department at Kean University and is a New Jersey Licensed Professional Counselor, Licensed Clinical Alcohol and Drug Counselor, and Disaster Response Crisis Counselor. He is a Fellow of the American Counseling Association and co-edited the book Disaster Mental Health Counseling: A Guide to Preparing and Responding in its fourth edition. Dr. Mascari has over 35 years of counseling experience in schools and outpatient treatment. He was a member and Chair of the NJ counselor licensing board for 10 years, the CACREP Board, and former President of the American Association of State Counseling Boards. 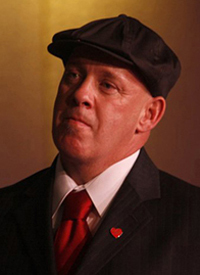 He lobbied for licensed in NJ for 10 years and co-authored the bill passed in 1993. He is considered the “father” of 20:20 The Future of Counseling, a collaborative initiative between AASCB and ACA that resulted in the common definition of counseling. While AASCB President he advocated for inclusion of CACREP disaster and trauma standards for national credentialing. Dr. Mascari was a founder of the New Jersey Council on Divorce and Family Mediation, co-authoring a seminal work in family mediation. He has appeared on radio and television, most recently on Ohio Public Radio following the Ohio State incident of violence. Connie Palmer is a licensed clinical social worker who is an experienced teacher, therapist and school counselor with more than thirty years of experience working with youth and their families. She is currently the Clinical/Training Director for Imagine, A Center for Coping with Loss in Westfield, NJ. Dr. Priyanka Upadhyaya is a clinical psychologist at the World trade center environmental health center at Bellevue hospital which is one of three clinical centers of excellence dedicated to the integrated assessment and treatment of individuals who were present in the New York city disaster area. Dr. Upadhyaya provides individual, group psychotherapy, mentors and supervises social workers and doctoral psychology students. She presents on various aspects of trauma informed care at case conferences and seminars, conducts community outreach workshops and in house staff training and education workshops. Dr. Upadhyaya is also part of initiatives to transmit health messages across the survivor and responder population through social media and online newsletters and participates in department wide research initiatives. Her interests and areas of expertise include evidenced based treatment of trauma, mindfulness and meditation, reducing barriers to mental healthcare, post traumatic growth and resilience. 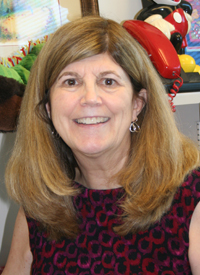 Dr. Jane Webber is a Lecturer in the Counselor Education Department at Kean University, Union, NJ and a NJ Licensed Professional Counselor. She is also a NJ certified Disaster Response Crisis Counselor. Dr. Webber was a member of the American Counseling Associaton Task Force for Crisis Response Planning and served on the Advisory Committee for Emergency Preparedness for the 2009 CACREP Standards. 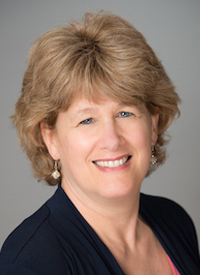 She has written numerous articles and chapters, and co-authored the chapter Healing Trauma Through Humanistic Connection, in the award-winning book Humanistic Perspectives on Contemporary Counseling Issues. She co-edited the ACA Foundation publication, Terrorism, Trauma, and Tragedies: A Counselor's Guide to Preparing and Responding from its beginning after 9/11, and a soon to be published Journal of Counseling & Development (JCD) article analyzing the publication (or lack) of articles on trauma and disaster in counseling journals. She is Guest Editor of the JCD Special Section on Traumatology. Dr. Webber has served as Chair of the ACA Foundation, North Atlantic Region, International Committee, Human Rights Committee, Public Awareness and Support Committee, and President of the NJ Counseling Association. Jane is frequently interviewed on disaster and trauma issues, including National Public Radio and Counseling Today Online. She received the Ph.D. from Seton Hall University, the M.Ed. from The Pennsylvania State University, and the BA from Manhattanville College. Dr. Wilson has been the medical director for the Queens World Trade Center Health Program since April of 2013. She is board certified in Internal medicine, Preventive Medicine, and Occupational and Environmental Medicine. 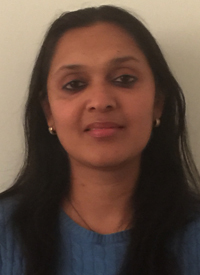 She completed her Fellowship in Occupational Medicine at Yale -New Haven in 2012. In addition she holds a Master's in Public Health from UCLA in Industrial Hygiene. 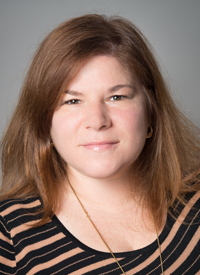 Mandi, MSW, CT, Grief Recovery Specialist, has been the Program Director at Imagine since 2012, overseeing all aspects of program development and management. She graduated from the University of Pittsburgh with a degree in Child Development and New York University with her Master’s in Social Work and has since earned a certificate in Thanatology and a certificate in Grief Recovery. She is a lead responder for the Union County Traumatic Loss Coalition, serves on the membership committee for the National Alliance for Grieving Children and on the Community Health Advisory Council for Overlook Medical Center. Prior to working at Imagine, Mandi had extensive experience working with children in the public school system as well as in hospice settings working with people of all ages at the end of their lives and through bereavement.